The Agnew Family aboard the "Dog House"
We were dressed, organized and driving away from the trailer by 7:10am. No, we weren’t awake yet. The Lady Rose allowed dogs on board as long as they stayed on the deck. So Zaph and Splash were able to go on the outing today along with the 2 other dogs that also came on board — they all got along fine. The day started cool and cloudy but after about an hour and half it cleared and started to warm up. 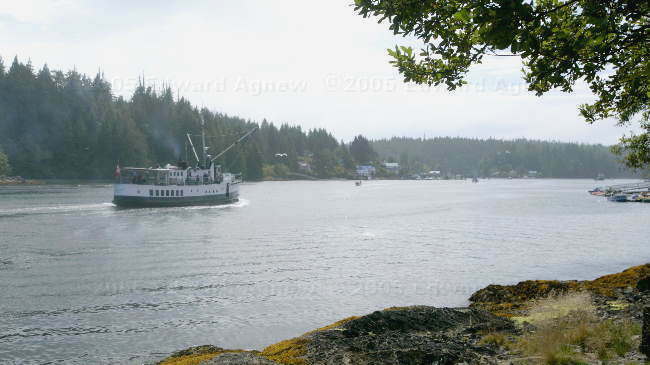 The boat departed Port Alberni at 8:00am traveling down the Alberni Inlet to the village of Bamfield. Along the way the boat stopped to deliver / pickup mail, freight and passengers. 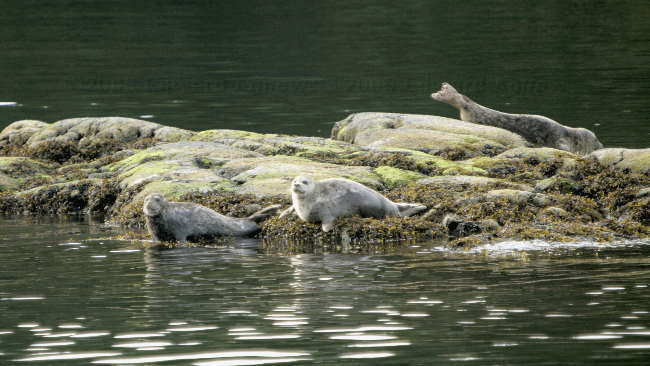 The captain slowed down as we approached a group of seals sunning on rocks and he pointed out various places of interest such as fish and oyster farms, floating homes, a floating Post Office, lumber operations, etc. We saw several black bears on the shore. 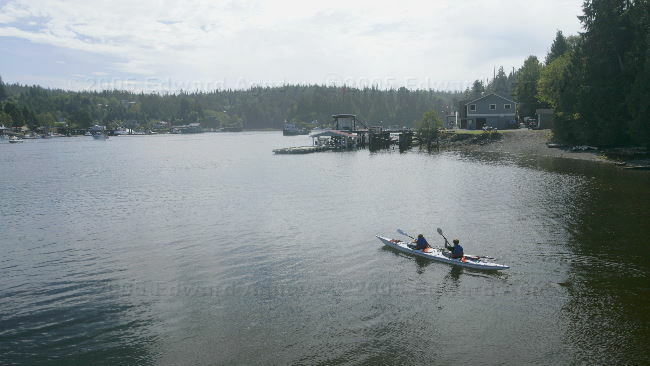 Upon arrival at Bamfield West we were able to disembark and walk around town – or should we say walk down the boardwalk. We crossed Penny Lane (a short path paved in pennies), saw the tree house public toilets, the local bistro and Liquor Store (they sold everything from food to ice cream cones to alcohol). 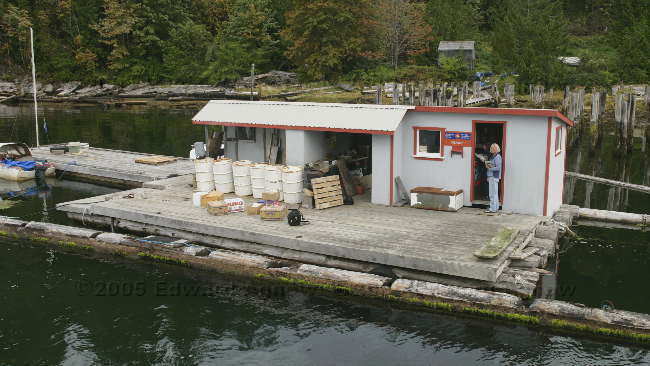 Across the inlet was Bamfield East — it too had a look of character about it but you needed a mode of water transport to get there. 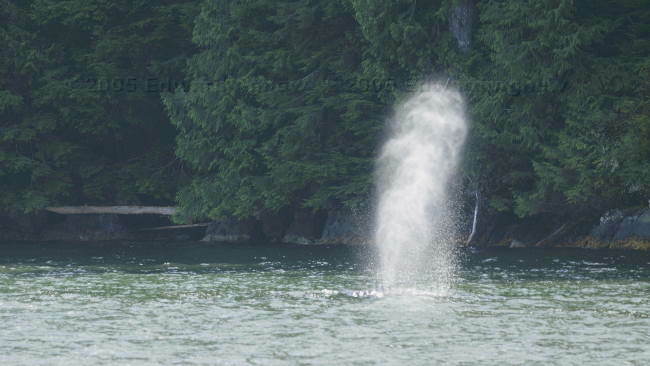 The boat ride back to Port Alberni included a humpback whale siting and a fly-by of 2 eagles. 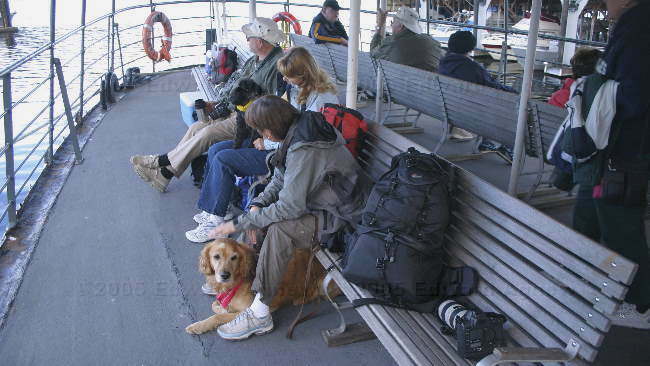 Luckily lots of people on the boat liked dogs — Zaph said he got almost enough pets! This boat trip was certainly worth it. Seals sunning on a rock. 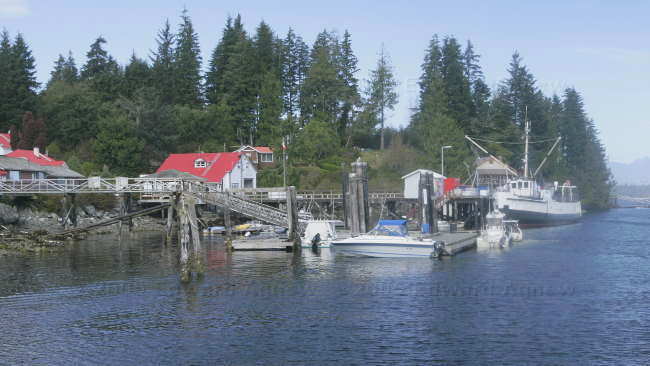 Looking across the inlet to Bamfield East. Hey where's our boat going? It did come back and pick us up.